Change the length of AC, the hypotenuse of triangle ABC, so that it matches the length of FE, the hypotenuse of triangle DEF. 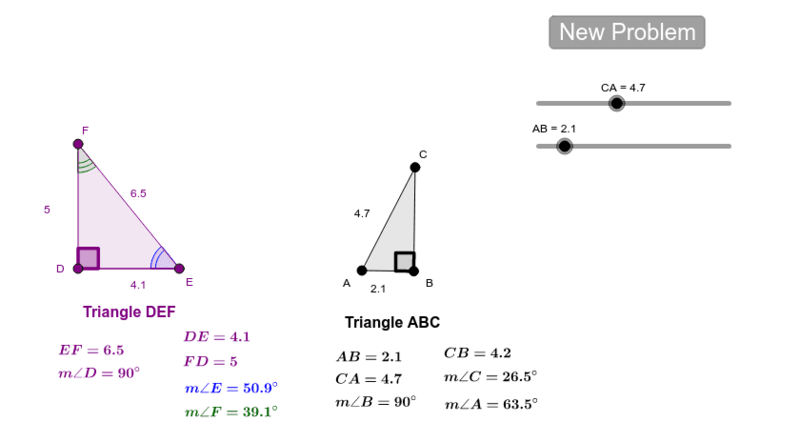 Change the length of CA so that it matches one of the legs of triangle DEF. What do you notice about the other sides and angles in the two triangles?